The Home Page of Frank J. Sulloway, Ph.D.
Frank J. Sulloway is an Adjunct Professor in the Department of Psychology, and is also a member of the Institute of Personality and Social Research, at the University of California, Berkeley. He has a Ph.D. in the history of science from Harvard University (1978) and is a recipient of a MacArthur Award (1984-1989). 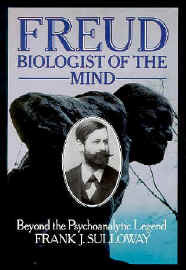 His book Freud, Biologist of the Mind: Beyond the Psychoanalytic Legend (1979) provides a radical reanalysis of the origins and validity of psychoanalysis and received the Pfizer Award of the History of Science Society. In addition, Dr. Sulloway has written about the nature of scientific creativity, and, on this general topic, he has published extensively on the life and theories of Charles Darwin. For the last two decades, Dr. Sulloway has employed evolutionary theory to understand how family dynamics affect personality development, including that of creative geniuses. He has a particular interest in the influence that birth order exerts on personality and behavior. In this connection, he is the author of Born to Rebel: Birth Order, Family Dynamics, and Creative Lives (1996). Dr. Sulloway's researches on birth order and family dynamics have been featured on a variety of national television shows including "Nightline," the "Today Show," "Dateline NBC," the Discovery Channel, the "The Charlie Rose Show," and the "The Colbert Report." 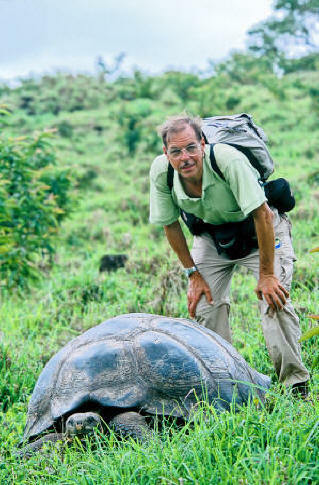 Some of Dr. Sulloway's recent researches have focused on ecological changes occurring in the Galápagos Islands as a result of invasive species, such as goats, pigs, rats, insects, and various imported plants. 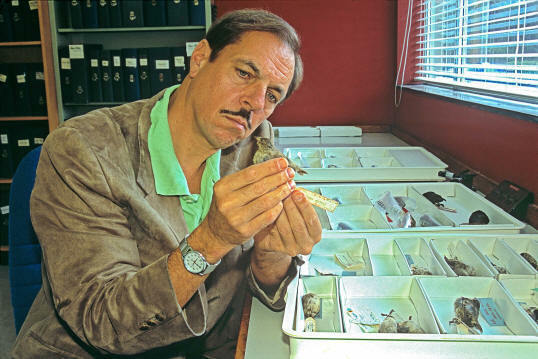 He is also studying evolutionary changes in Darwin's finches (Sulloway & Kleindorfer, 2013; Kleindorfer et al., 2014; Kleindorfer & Sulloway, 2016), as well as patterns of growth and survival in several species of Galápagos plants (Sulloway, 2015). Another of his current research interests includes the relationship between religiosity and fertility, considered as a Darwinian mutualism between memes (ideas) and genes. Dr. Sulloway has been the recipient of fellowships from the Institute for Advanced Study (Princeton, New Jersey), the Miller Institute for Basic Research in Science (University of California, Berkeley), the National Science Foundation, the John Simon Guggenheim Foundation, and the Center for Advanced Study in the Behavioral Sciences (Stanford, California). In addition, Dr. Sulloway is a Fellow of the American Association for the Advancement of Science, the Association for Psychological Science, and the Linnean Society of London, and is a recipient of the Golden Plate Award of the American Academy of Achievement (1997). He lives in Berkeley, California.